A friend posted this on Facebook and I thought it was really powerful!! 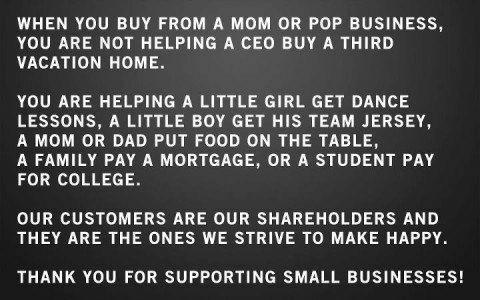 Will you stop shopping at those businesses when they become successful enough to become large corporations? Most large corporations started out as Mom & Pop businesses.